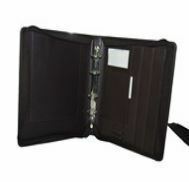 Established as a Sole Proprietorship firm in the year 1995, we “Jay Ambe Handicrafts are a leading Manufacturer of Handmade Cloth File Folder. With enriched industrial experience and knowledge, we are providing an excellent range of Patch Fabric Cover Folder design this cloth folder. This cloth folder is made available in different sizes, deigns and colors. Clients can purchase this cloth folder at affordable prices.